← [MEWS] 2NE1 Becomes First K-pop Girl Group To Get 2MM Youtube Channel Subscribers! That is, what was revealed in last week through YG-LIFE!!! 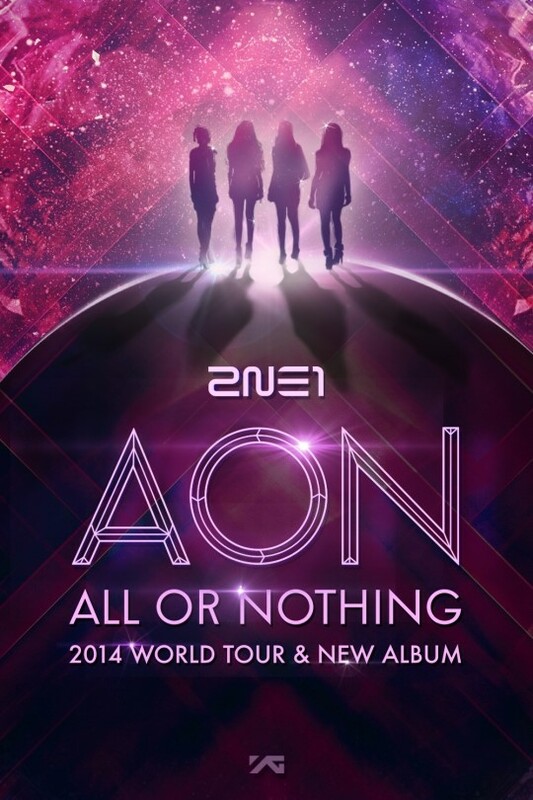 It is the site of shooting the poster for 2NE1 second world tour “ALL OR NOTHING”!!! The truth is that, just revealing the poster alone made to feel that something a little not enough! #1. Space warrior 2NE1! Revealed a different kind of charm! This shooting progressed with a concept of 2NE1 who came from the star and we went into this shooting with a lot of concentration anticipating mysterious vibe throughout the shooting. 4 people 4 colors! Should we head to the shooting site in which we can see the different charms of the members? Go~Go~Go! Space goddess vibe leader CL! Just like a photogenic person, she is showing a cool pose! But, if you look close, do not tell me that something shining on the right cheek is….? Wait, no.. What happened to Bom on that day?!! Our youngest member Minzy! Our Minzy who is getting prettier day by day after her 21st birthday! She showed another side different from already existing side for this shooting! Yes! It is me, the captain Dara^.^ I look really serious~~!! #2. Either A or B? ALL OR NOTHING! We bet on everything that 2NE1 has! 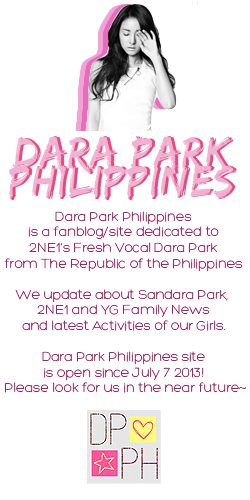 This world tour in which we promised to bet on everything that 2NE1 has! We will reveal the identity of that picture!! We burst out in laughter as we were finding the right timing to walk and making poses but it looks so cool in the poster. #3. I did not know we had these kinds of sides! Revealing of 2NE1’s sincere minds! THE INTERVIEW! The last one we are going to show you guys is the documentary teaser “THE INTERVIEW” that was revealed on the early morning of today! It is a video that contains our honest and sincere minds me and the members felt while preparing for this album^.^ It is different from “Strong character” 2NE1 that we showed on the stage right? All of my shy mind that I have been hiding~~~ I will show you! +This week, it is the autograph from CL!!! 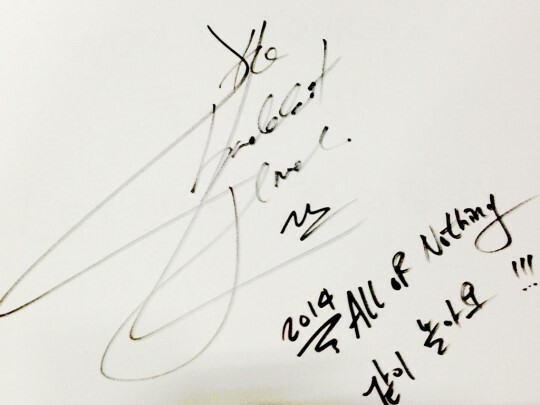 Just like CL’s message, we will prepare hard so that we can play together in the concert hall!